As with pretty much any product that can be purchased online, there will inevitably be opportunists who will seek to sneak a fake version through in order to make themselves a profit. The Tribe is no exception. Several fake DVD copies can easily be found to buy in various outlets online. When it comes to The Tribe however, spotting a fake is incredibly simple due to one easy to remember fact. There has never been (and probably never will be) an entire single box set version of the show. I repeat – there is NO complete box set version. The Tribe has been previously released via Revelation Films in individual series DVD sets, from series 1 through series 5. Following on from this, there has also been individual series parts (see our DVD + Digital section for more information on these). 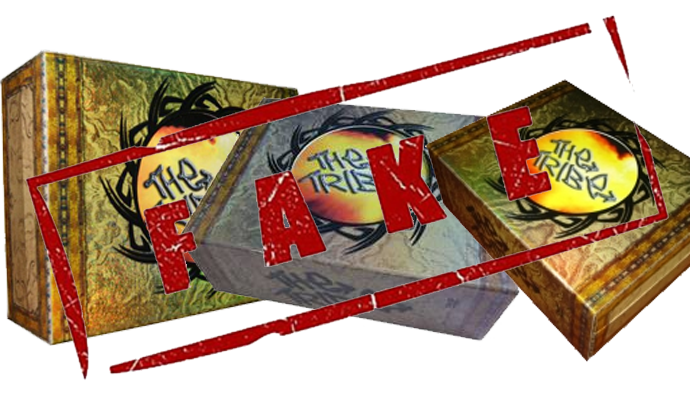 So, if you ever see an online outlet attempting to sell a complete DVD box set of The Tribe … you’ll know that it is instantly a fake, and this is regardless of whatever quality these fake sets might propose to even come in. Recently, The Tribe has been released in superb HD quality over on Vimeo. Fans wanting to own the show should be even more vigilant. Higher quality version sets of these fakes might begin to filter through. Just remember, that there is NO complete box set version!